Need a full pallet (30 rolls) or more? Ask us about our wholesale pricing. To download a data sheet / detailed specification click here. To download the EN13501 flame retardant test report click here. 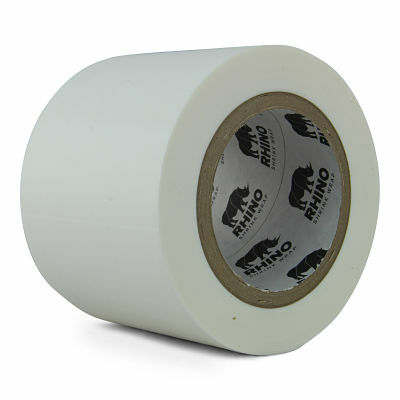 Shrink wrap tape is a robust polyethylene backed tape with a powerful adhesive backing designed to ensure that the tape remains stuck to the shrink wrap sheeting even at low temperatures or after prolonged exposure to sunlight. 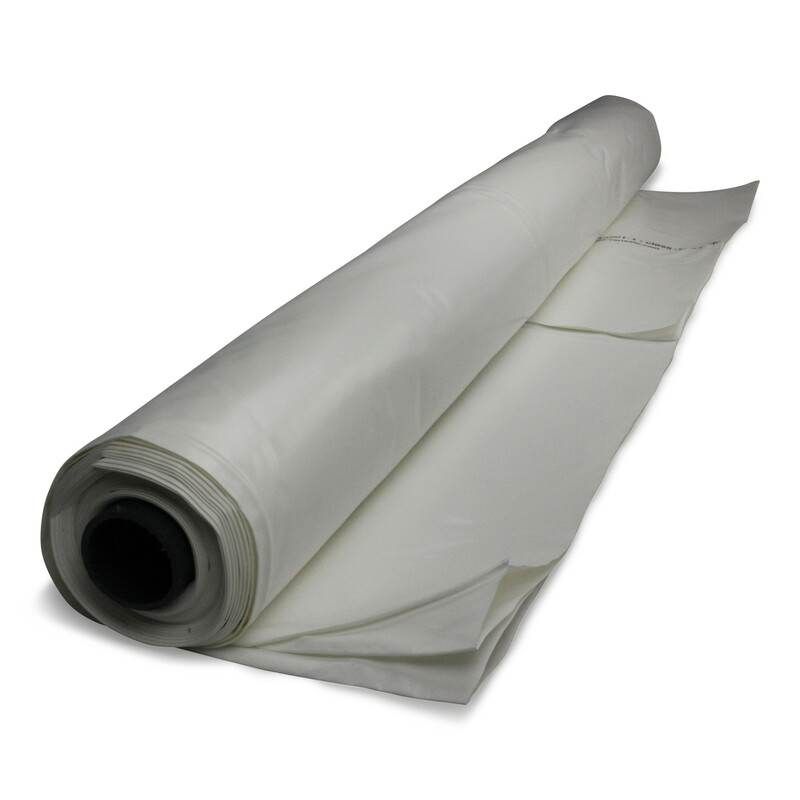 Normally supplied as a white coloured tape so that repairs to shrink wrap scaffold sheeting or an industrial shrink wrap cover are ‘invisible’. 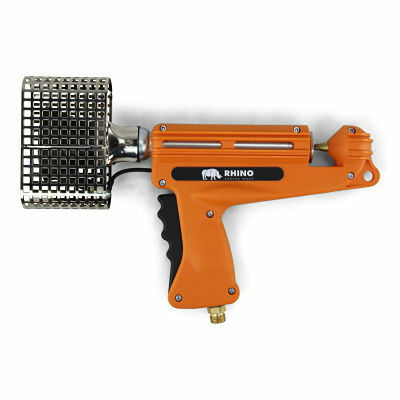 The Rhino Shrinkit® Shrink Wrapping Gun is the ‘Land Rover 4×4’ of heat tools. Manufactured in the UK for over 30 years, we like the simplicity and dependability of this heat gun which means it is our ‘go to’ tool, particularly when we are carrying out industrial shrink wrapping operations in harsh or remote locations or when we are supplying shrink wrap materials and equipment to customers outside of the UK. Unlike some of the ‘roofing torch’ type of heat guns that are sometimes used for scaffold shrink wrapping, the Shrinkit® incorporates a piezo crystal ignition and ‘dead mans handle’ which means that if the tool is dropped whilst being used, the flame is cut off immediately. The Shrinkit heat gun is supplied with everything you need to start shrink wrapping including a gas regulator and a 8m hose. 30mm x 1.2mm clips to suit standard scaffold tube. 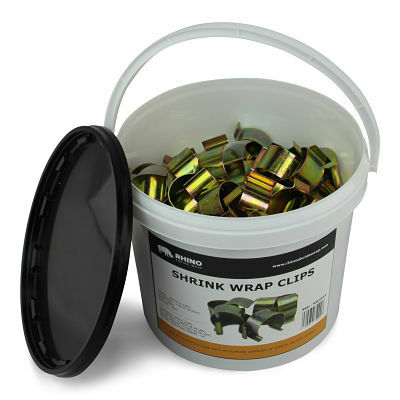 Re-usable clips for securing wrap prior to shrinking. Zinc & yellow passivate plated. 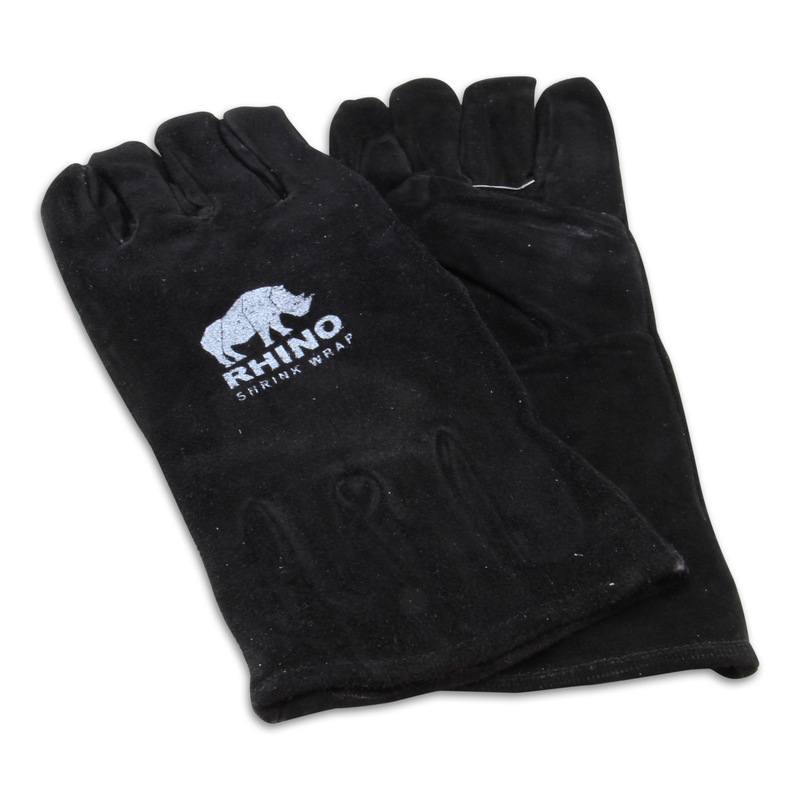 Shrink Wrapping gloves are worn to protect the hands and wrists whilst using the shrink wrapping gun to create heat welded joins between sheets of scaffold shrink wrap. Zipper access doors allow you to gain easy access into a shrink wrapped area. Once closed, the door will maintain weather protection or containment of dust and contaminants. 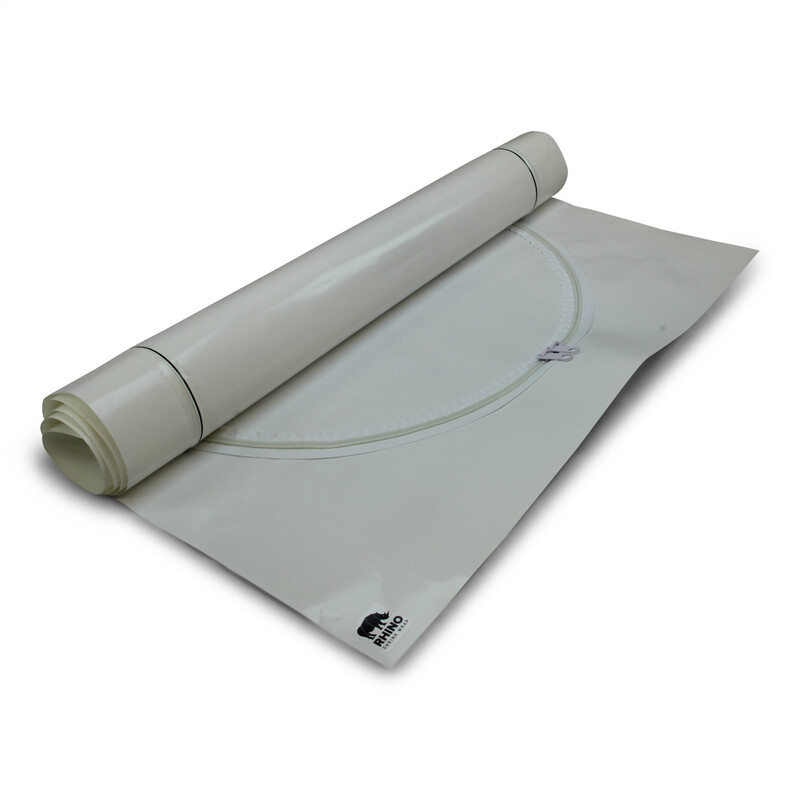 We manufacture our zipper doors from a rugged 300 micron thick LDPE plastic film with added Ultra Violet Inhibitor for long term use outdoors. Heavy duty nylon zipper teeth (No.10 size) to minimise chances of zip sticking. Two metal zipper pulls on each side of the door (4 total) means that you can open the door quickly from both sides.